Hello. So you might have noticed some things here look a little different. 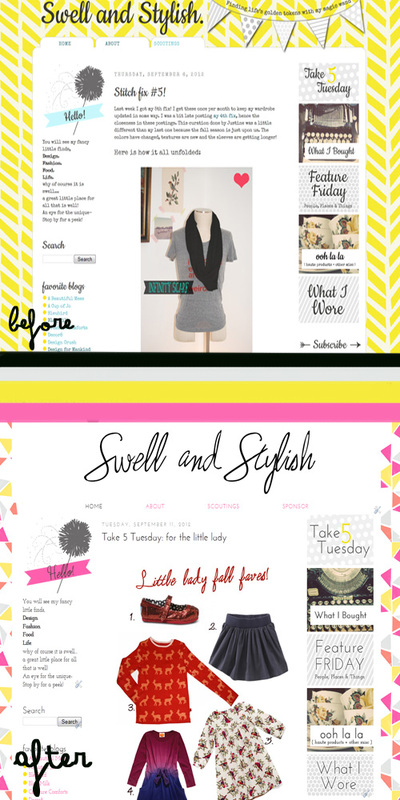 While my sweet designer is still tweaking a few things -- I thought I'd show you the obvious before/after shot. While the general layout is still pretty much the same, I feel they are so different. I hope you like it as much as I do and that you'll continue to hop over to visit me. I liked your layout before but this one is way better! What an amazing layout! Very simple but yet it draws the eye in! Looks awesome, I like! I'm working with my designer on a redesign and I cannot wait to see how it looks!